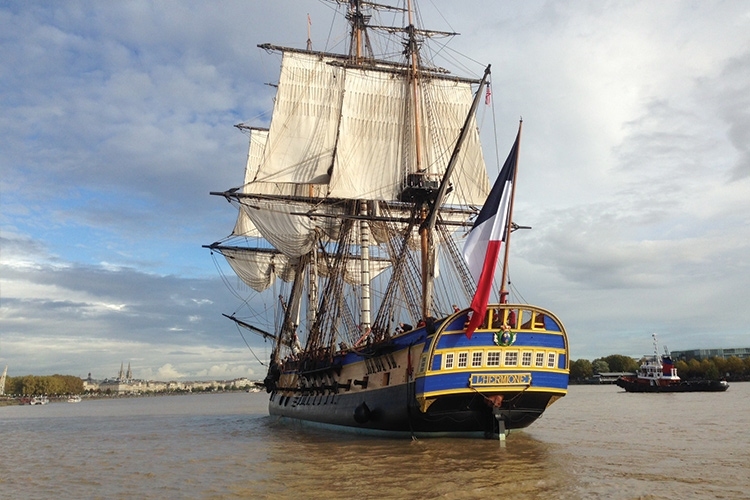 On June 10th, the arrival of the Hermione will give you a taste of the Tall Ship's Regatta. 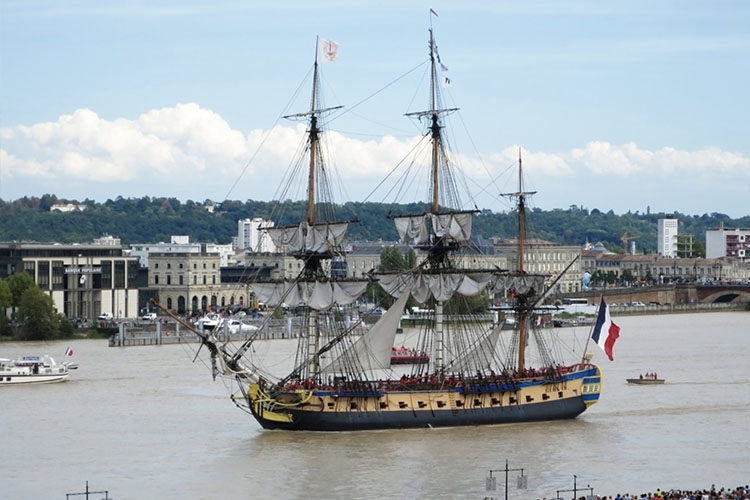 Aboard Sicambre, experience its arrival directly and accompany the French ship and its 80 sailors until their arrival in the heart of Bordeaux. A guide will be on board to tell you about the emblematic three masts. A rare and convivial moment on the river where a glass of wine will be offered to you.